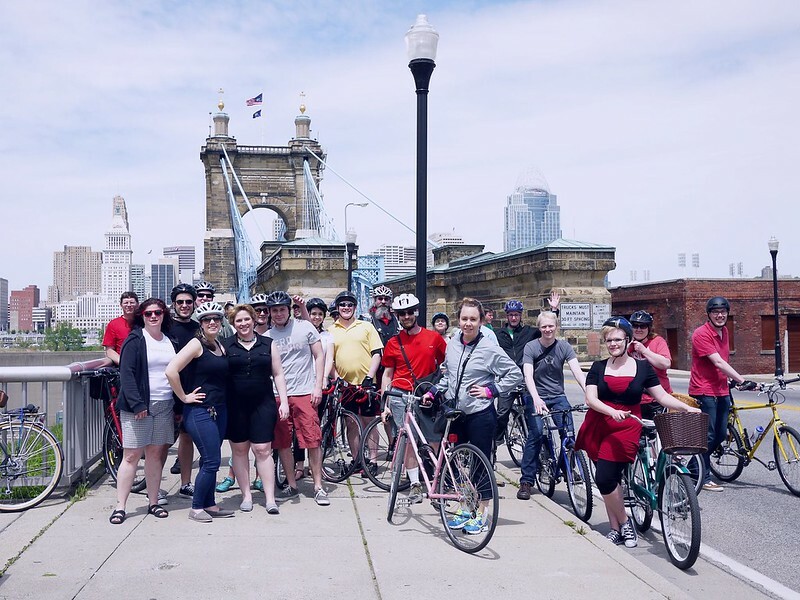 Kicking off May Bike Month, members of UrbanCincy took to the streets to ride a 9-mile course through OTR, Downtown, Covington, Newport, and Bellevue. 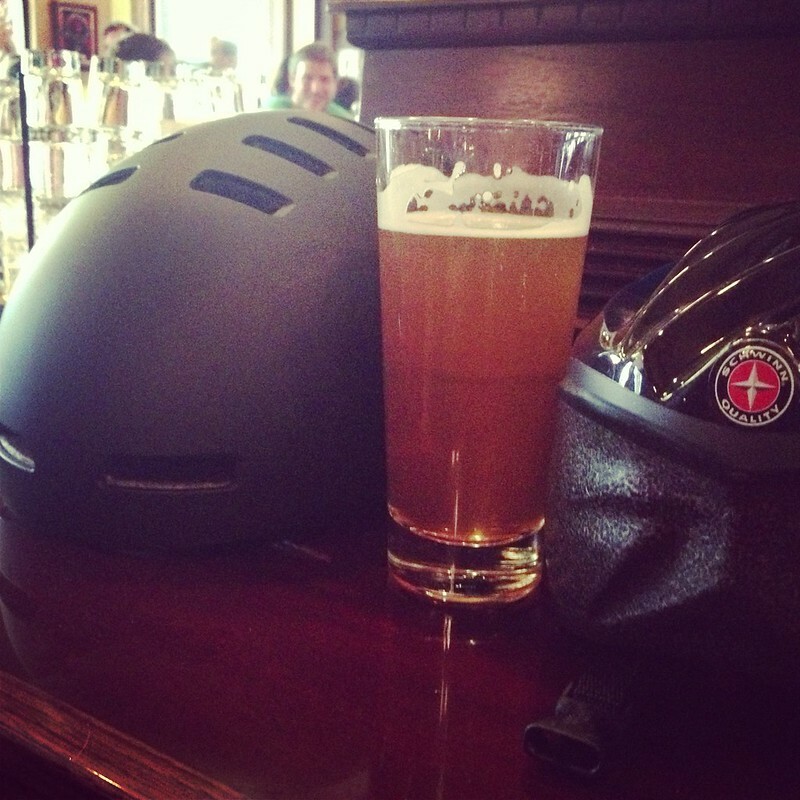 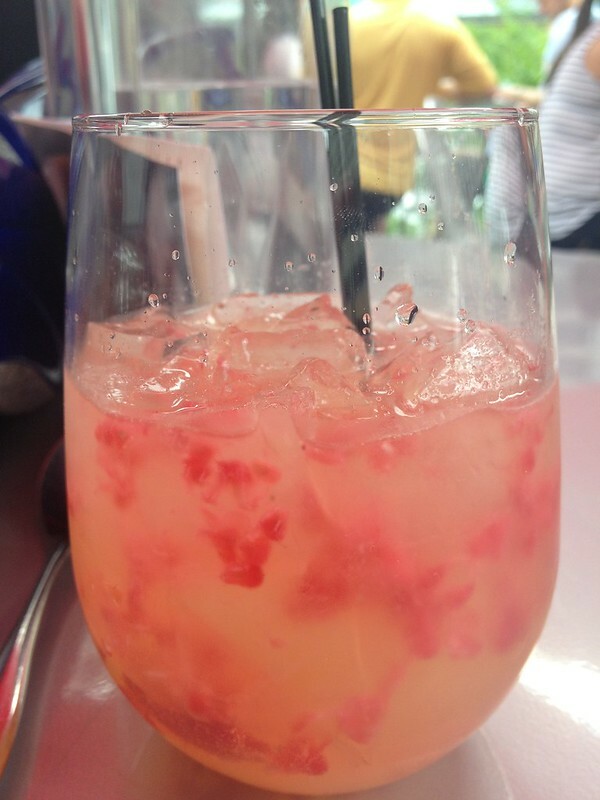 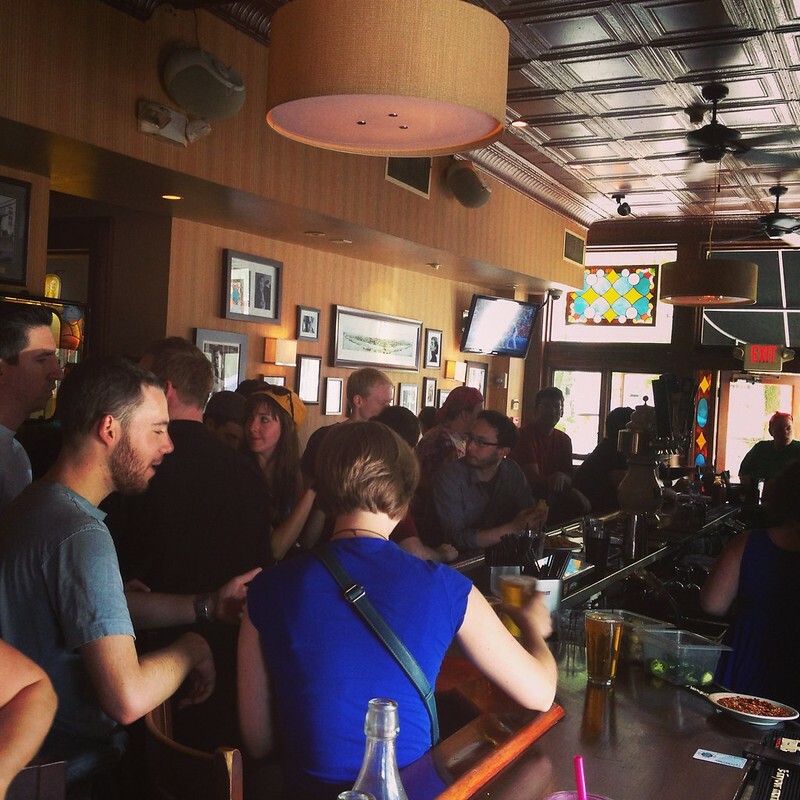 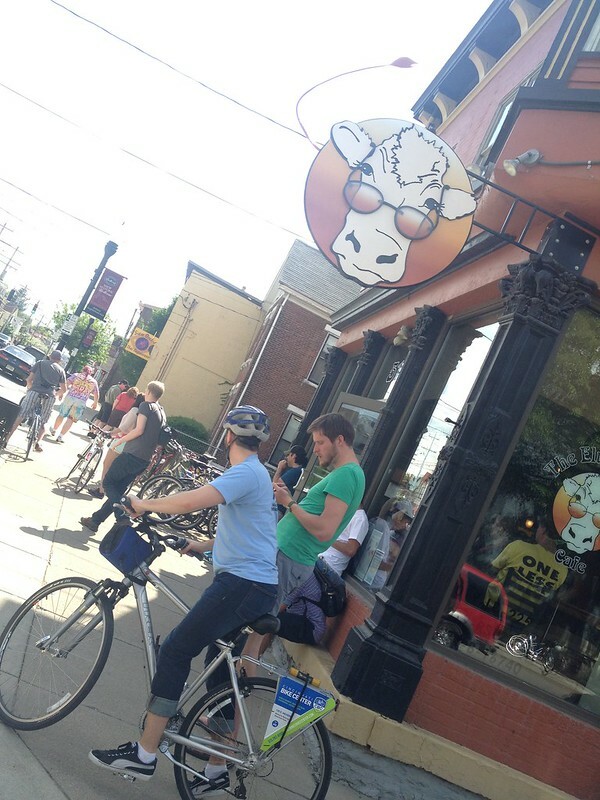 Starting at Findlay Market, we stopped at five bars along the way to sip a beer and socialize. 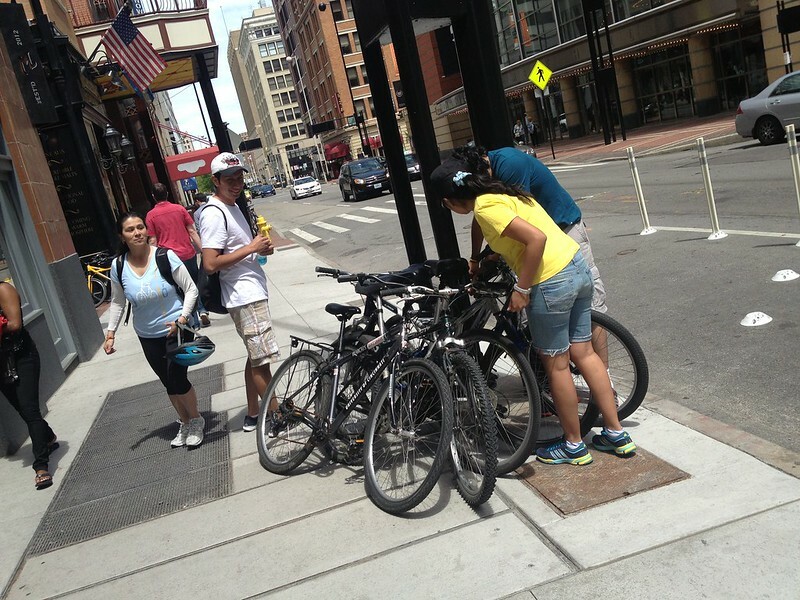 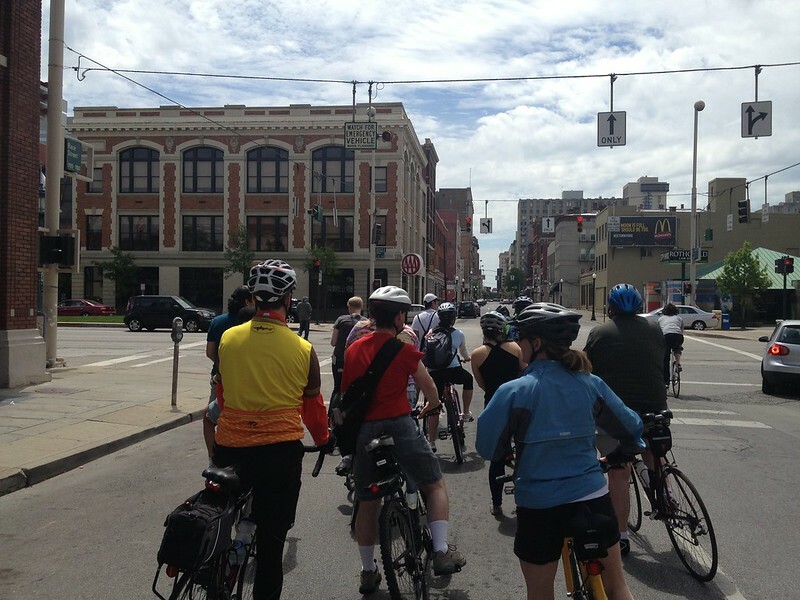 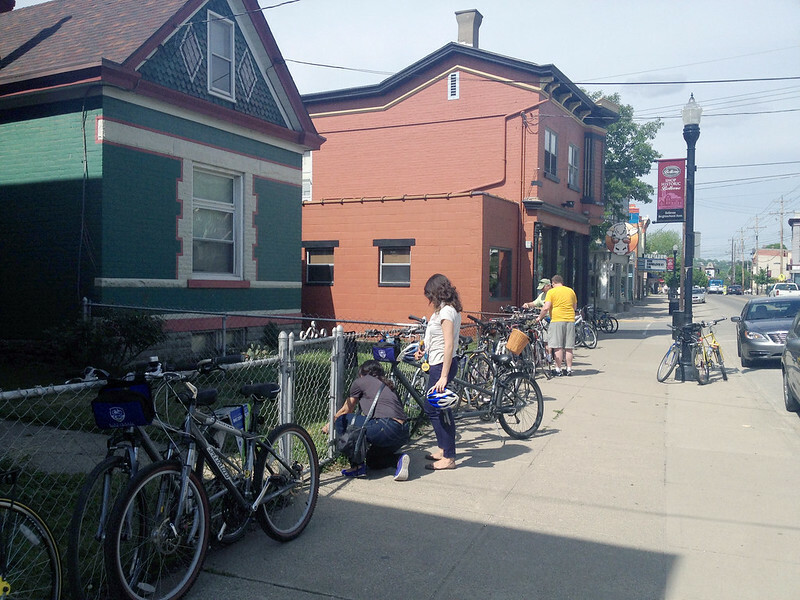 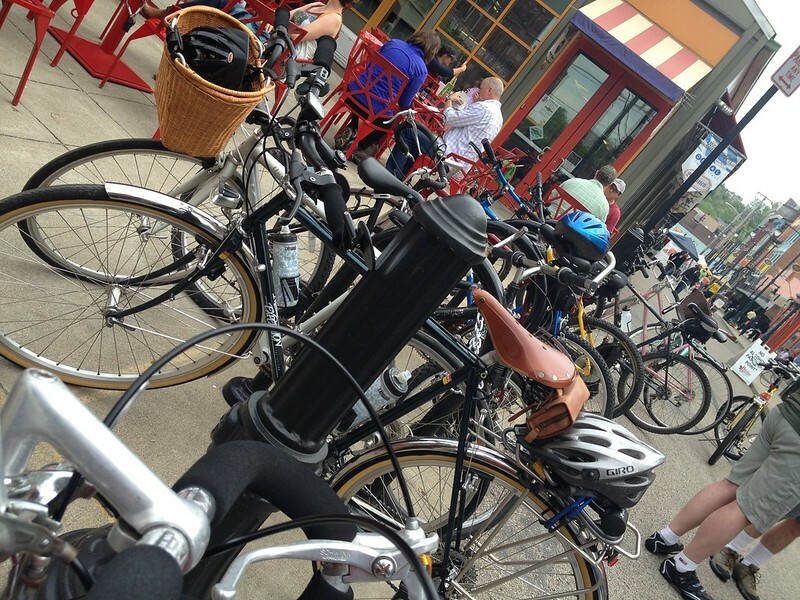 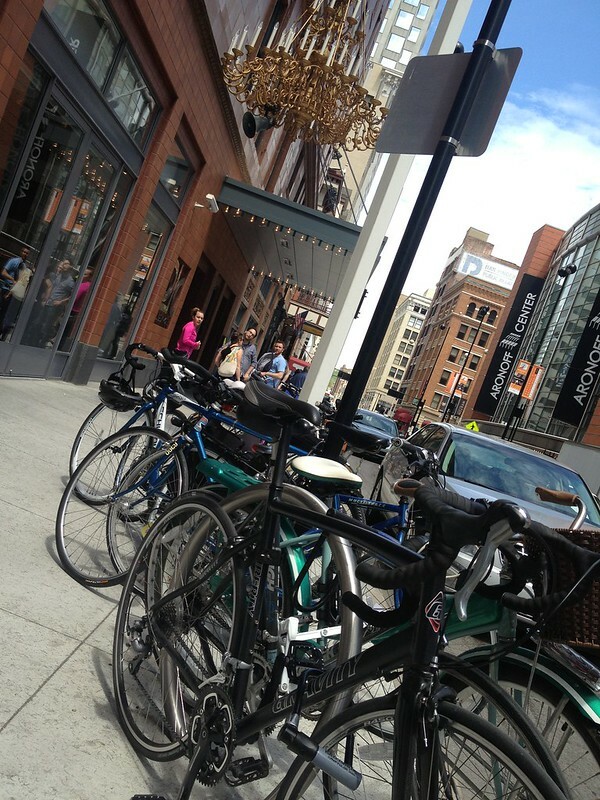 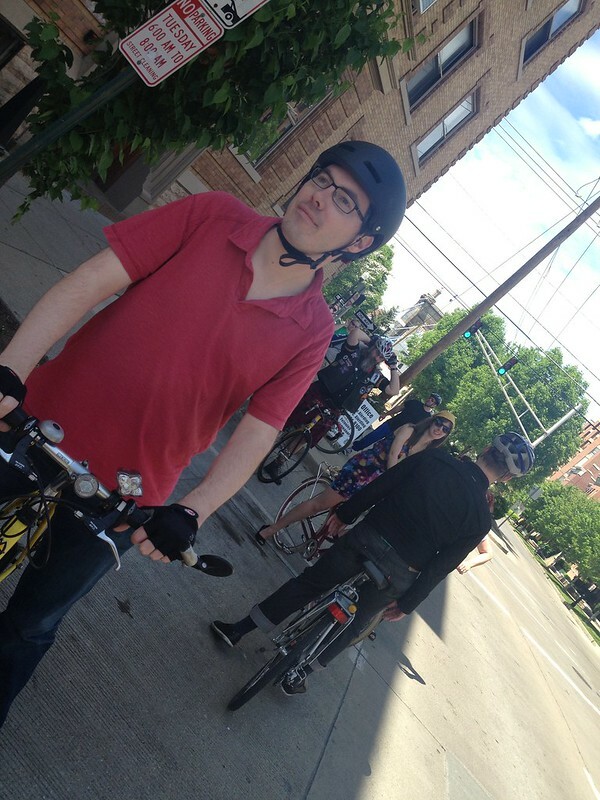 With Saturday providing gorgeous weather, over 40 people participated in our grand tour of the city.